He was born in 1972 in Moscow. He graduated with honours from the Tchaikovsky Moscow State Conservatory (Class of the People's Artist of RSFSR, Professor Vladimir Sokolov). He also completed intership therein (1997). The Diploma holder (1986) and the winner (1989) of International Competition "Concertino-Prague". In 1990 he became the first Russian winner of International Clarinetist Competition in Geneva (II prize), as well as the holder of International Scholarship «Award Association». Evgeny Petrov`s repertoire covers over thirty concertos with orchestra, pieces for solo clarinet, chamber ensembles, compositions transcribed for flute and violin. He toured with recitals in Russia, France, Germany, Mexico, Bulgaria, USA, Denmark, Greece, Switzerland, etc. His stage partners in different years were such performers as: Tigran Alikhanov, Natalia Gutman, Yuri Bashmet, Vladimir Spivakov, Nikolai Petrov, Valery Popov, Aleksei Lyubimov, Naum Shtarkman, Alexander Bonduryansky, Alexander Rudin, Irina Bochkova, Nikolai Lugansky, Denis Matsuev, Ekaterina Mechetina, Victoria Postnikova, Alexei Utkin and Alexander Knyazev. Evgeny Petrov regularly performs in Moscow at the best concert venues, including as regular guest of prestigious international music forums. He performed with the St. Petersburg Philharmonic Orchestra, with the National Symphony Orchestra of Ukraine. Artist`s discography includes more than five dozen works recorded under labels of "Melody" (Russia), «Forlane» (France), "Etcetera Records" (Netherlands), «Quatro-Disc» (Russia), «Marco Polo» (Russia) "Gramzapis" (Russia), "Dowani International" (Switzerland) and "Triol" (Russia). CD «Ave Maria» recorded by Evgeny Petrov with "Concertino" ensemble received National Award in the field of Sound Recording Industry "Record-2003". Since 1994 he teaches at the Central Music School, since 1996 – at the Moscow Conservatory (since 2009 – Professor). Professor of Maimonides State Classical Academy (since 2010), State School of Wind Art (since 2016), since 2008 he teaches at the Moscow Chopin State School. 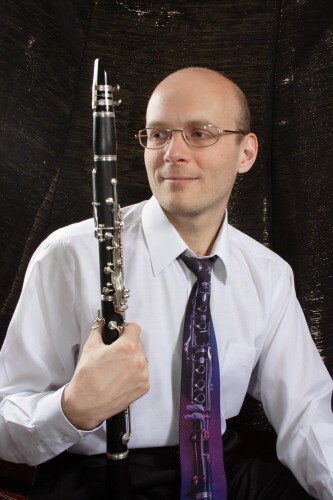 In 2009, he became the Member of Moscow Conservatory Academic Council, Jury Member of International Clarinetist Competitions in China, Italy, South Africa, Belgium and Switzerland. He constantly participates in the jury procedures of International Clarinetist Competitions taking place in Moscow, Novosibirsk, Krasnodar, Petropavlovsk and other cities. The Chairman of judges of the VIII International Competition «Saverio Mercadante» (Italy, 2012).